The crystal is doubly terminated and accompanied by other smaller ones. It shows off its slender silhouette. 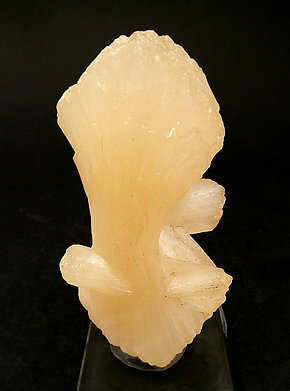 A Museum quality Stilbite. 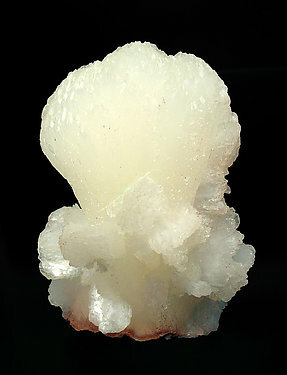 It has large crystals, many of which are doubly terminated, and have good color and brilliance. A floater specimen that is, in my opinion, superb. 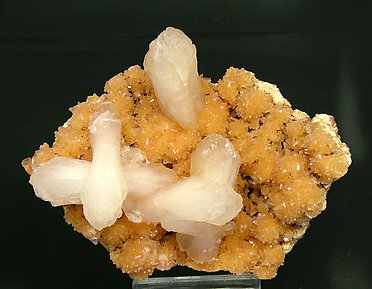 Typical crystallization of Stilbite rising up on a little matrix and with little Stilbite crystals at the base. A graceful piece, of clear color and silky luster. 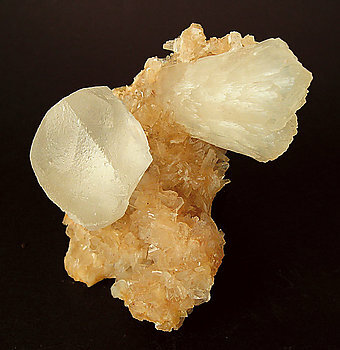 Good composition: first there is pink Heulandite-Ca, then Stilbite-Ca with large, white crystals, and then finally in the center a large, white Calcite. As is so often the case with Jan, esthetic and unusual. One of the novelties from Ste. Marie-aux-Mines 2007. 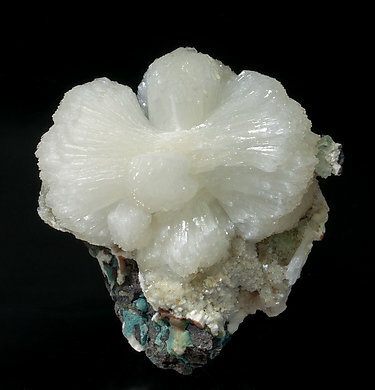 A group forming bow-tie growths, with a crystal of Chabazite-Ca that looks cubic because the angles of the rhombohedron are nearly 90º. 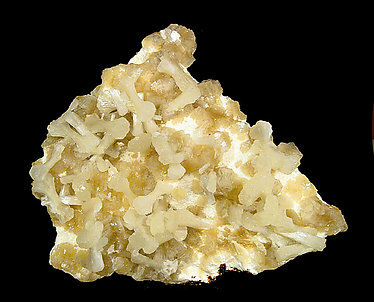 Bow tie-like aggregate of white Stilbite-(Ca) crystals. They are complete, very bright and are on a basalt matrix, with small Heulandite-Ca crystals and green Fluorapophyllite-(K) crystals. Even being a very common species, the quality of the sample is very notable. The piece is from the Joan Abella collection whose label we’ll send to the buyer. 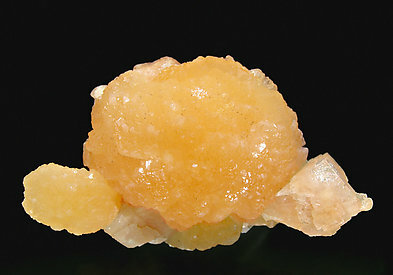 Bow-tie growths, some of them doubly terminated that contrast on a bed of small orange crystals of Heulandite-Ca and on a matrix of much altered basaltic rock. 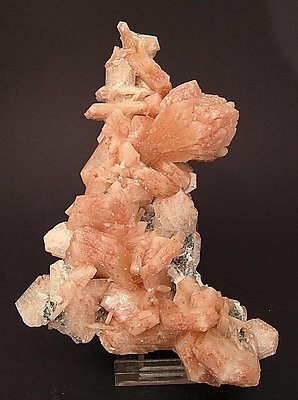 The groups in the form of very aerial white bands stand out on the slightly orange crystals of Heulandite-Ca. From the David Lucas collection, number 832, and we will give the buyer his label.